The latest release of the On-Premises Data Gateway supports the full range of connectivity to PostgreSQL databases. Now users don’t have to go through the ODBC connector when connecting to PostgreSQL! 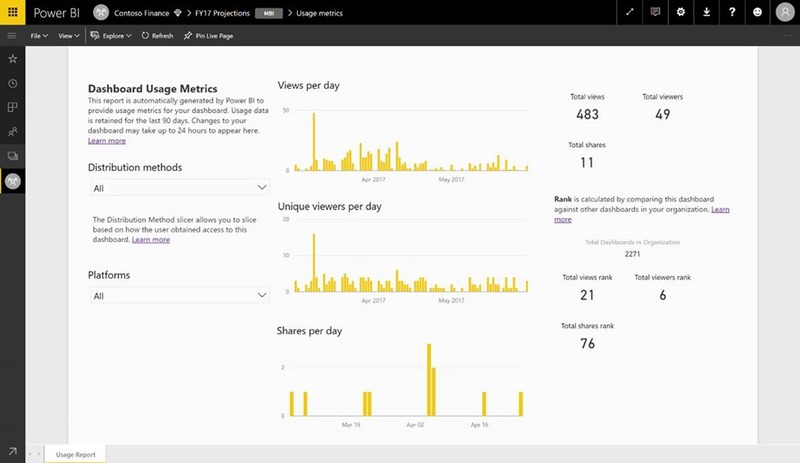 In February, we announced public preview of the Power BI report web part for SharePoint Online. 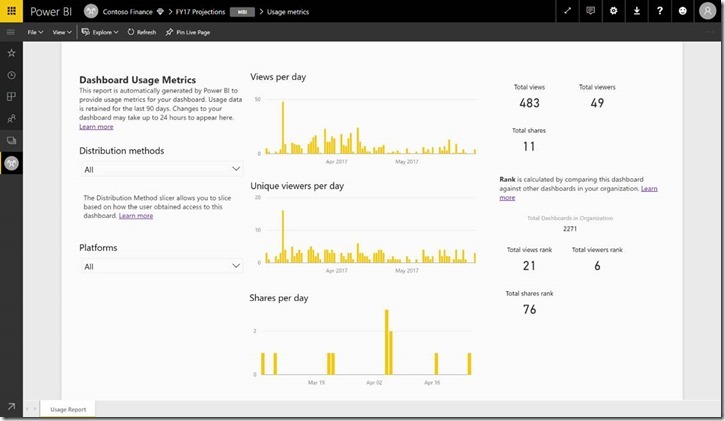 This allowed users to take the Power BI reports that they published to the Power BI service, and embed them in their SharePoint Online portals. At the time, this functionality was available only to Office 365 First Release customers. However, this month, we are pleased to announce that the Power BI web part is now available to all SharePoint Online users. 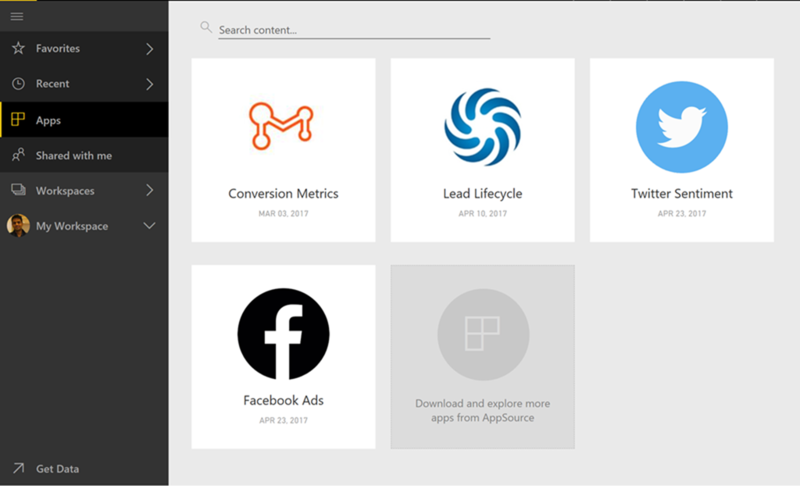 This means that you’ll be able to embed your Power BI reports in SharePoint Online modern sites pages, regardless of which release option your organization uses. For example – following URL will navigate to the report with two filters set: one for the Territory attribute in the “Store” table, and one for the “Month” attribute in the Sales table. The other limitations mentioned in the original article still apply, but we’re working on lifting those as well. Stay tuned. We’ve received feedback that folks want a holistic view of all updates over time in the Power BI service. As a result, we’ve updated our documentation to reflect exactly that. 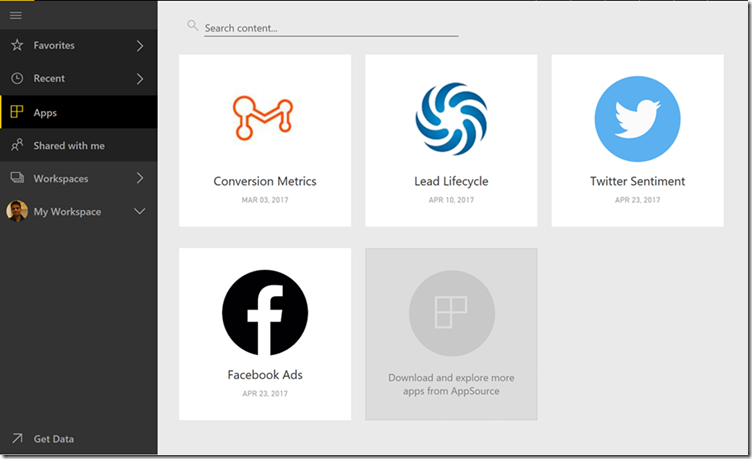 For a walkthrough of what we released last month in the service, check out the Power BI March Service Feature Summary. Have questions, or feedback? We’d love to hear from you. Be sure to cast your votes on UserVoice to help us prioritize features. Also, feedback and questions are always welcome in the comments below, or on the community forums. 아래에 등록하시고 Power BI의 최신 정보를 전자 메일로 받으세요.